Home blog dataleak information malware mining mobilesecurity ransomware Security Do Android applications steal our personal data? 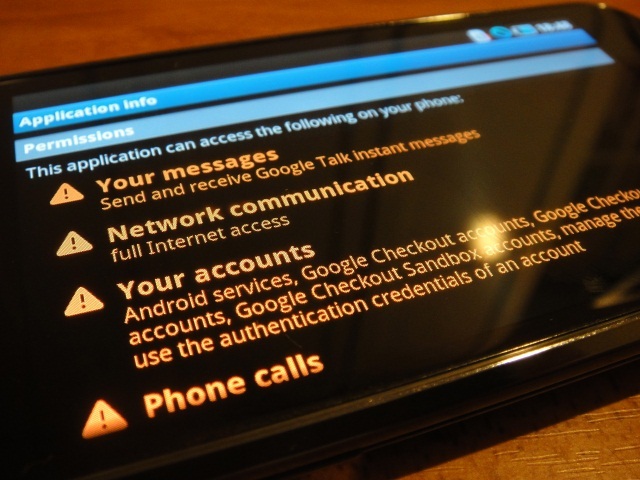 Do Android applications steal our personal data? While malware still remains to be a major concern for mobile devices a new study suggests that there are more severe threats lurking within your mobile apps. Data mining via intrusive mobile apps has become a topic of debate. There are a number of mobile apps that exhibit risky behavior when it comes to sharing personal information – that includes accessing user’s contacts, calendars, locations and more. The unwarranted data mining from apps is more of a threat to users than any malware. So, why should we care if any of the (seemingly innocent) app can access your contact list or look at your purchase history? You should care because, this unprotected flow of user data over unprotected networks could mean that more than just marketing companies are sniffing around for your personal info. Have you ever wondered why a flashlight app might need your location, calendar or address book? In general, apps are collecting more information than required. This information may not always be created securely and may become the target for criminals and illegal activities. With the emerging trend of BYOD (Bring Your Own Devices), the problem of data mining is becoming even more important. Enterprises need to be more careful when it comes to mobile device management. Adequate security features can ensure that sensitive information does not get into wrong hands. Strong passwords, network encryption and limiting the types of apps that can be downloaded on devices are some key measures to be implemented. Above all, it is important to remember that data always flows two ways and it is important to keep your professional data separate from your private data. Never leave your devices open and be careful what you download on your mobile devices!